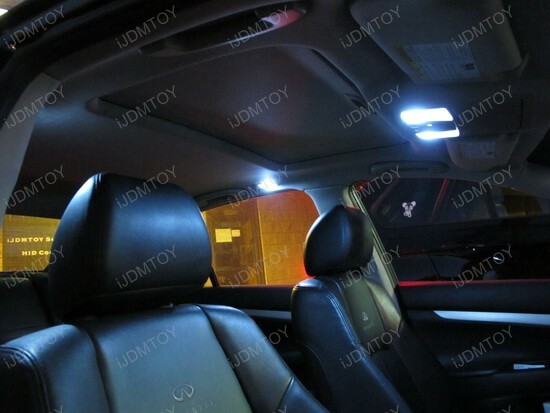 The Lexus IS 250 is a nice sports sedan and it needs a pair of LED turn signal lights, so that it’ll be easier for other drivers notice you while passing them by. Everybody knows this car is quick and fun to drive thanks to its balanced chassis and advanced electronic stability control system, but this guy just couldn’t resist leaving it stock and replaced both the front and back turn signal lights with golden amber yellow color 7440 LED bulbs. Just take a glimpse at the new Lexus IS look: elements such as the tail lights and headlamps seem drawn through to completion with these sharper edges. 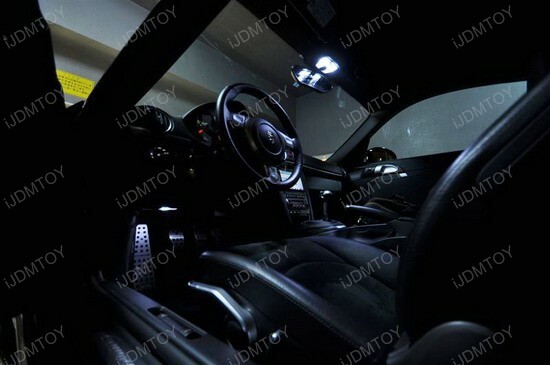 The new LED turn signal lights are great addition to the overall athletic appearance and impressive build quality of this entry-level luxury sports sedan. 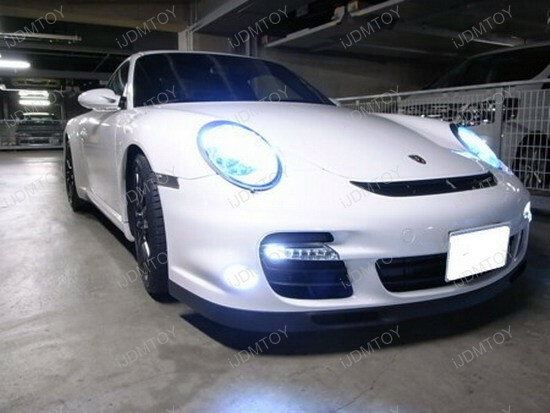 Easy and affordable, this fancy 7440 LED bulb is the simplest way to dramatically change every car’s look without spending a fortune. 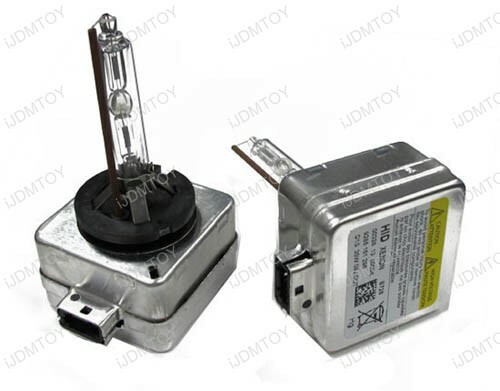 Installing the 7440 bulbs is really simple – just plug and play. 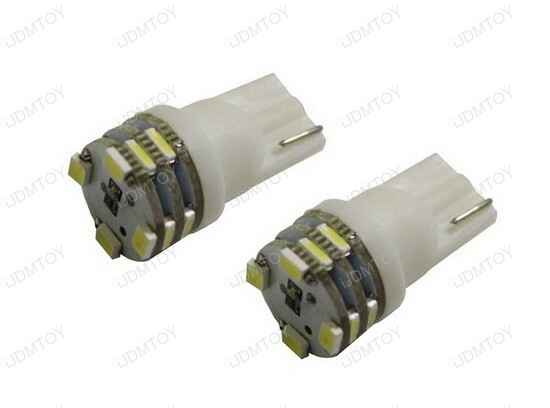 This Super Bright 18-SMD 7440 LED bulb will replace 7443 and 992A bulbs in a quick and easy way, but please note that you might need to add a pair of load resistors to prevent hyper flashing or malfunction problem. For example, this guy installed the 8-pin decoders for Lexus, which prevent possible issues. 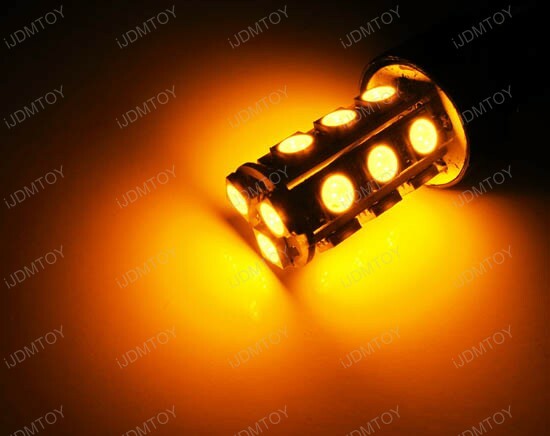 That’s only if you are using the LED bulbs for turn signal lights, because these neat-o bulbs are commonly used for turn signal corner lights, backup reverse lights, or brake/stop lights. Anyway, feel free to contact us if you need help with installation. 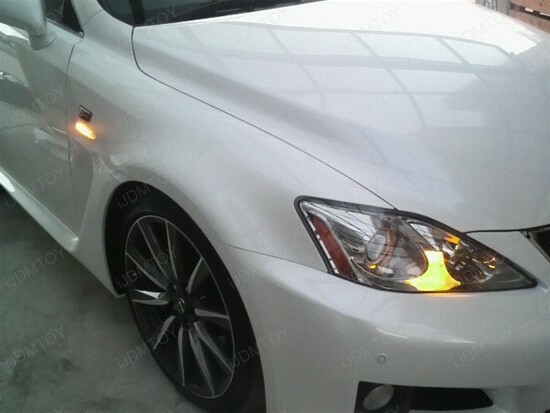 This 2008 Lexus IS250 is spiced up with impressive LED turn signal lights and as you can see – it looks great You just can’t go wrong with purchasing a pair of these 7440 LED bulbs and give your car a fresh new look, which could be described with just one word – amazing! 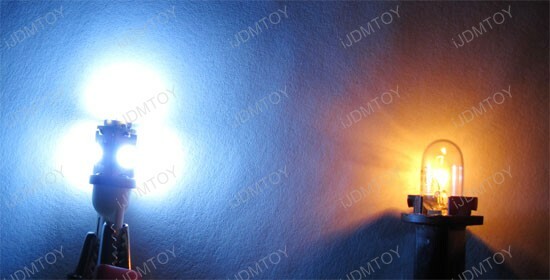 But if you want to go further and replace the other stock bulbs with LED ones, then do it – iJDMTOY offers this product in four different colors: Xenon White, Ultra Blue, Brilliant Red and Amber Yellow. 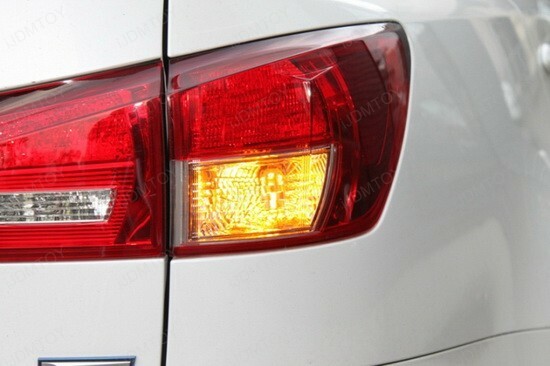 What we have here is an eco-friendly 2010 Toyota Prius with dazzling LED reverse lights. The 2010 Toyota Prius is incredible vehicle, but there is a common understanding that green cars don’t provide enough basis for tuning enthusiasts. To be honest, I completely disagree with the above and think that every vehicle could (and should) be modified to match its owner’s taste. It seems the owner wanted to give his lovely car a sleeker look and chose to replace the stock 7440 reverse lights bulbs with LED bulbs. 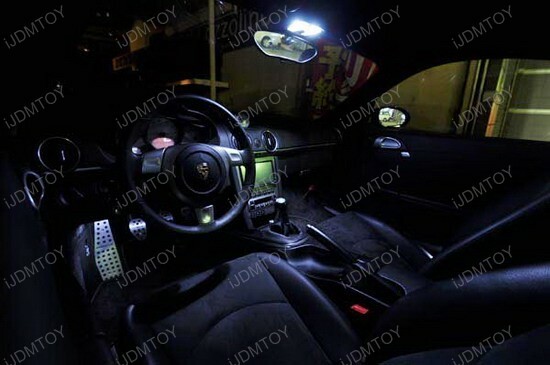 Everything went pretty smooth and as you can see from the pictures, the reverse LED lights are much more than just bright. 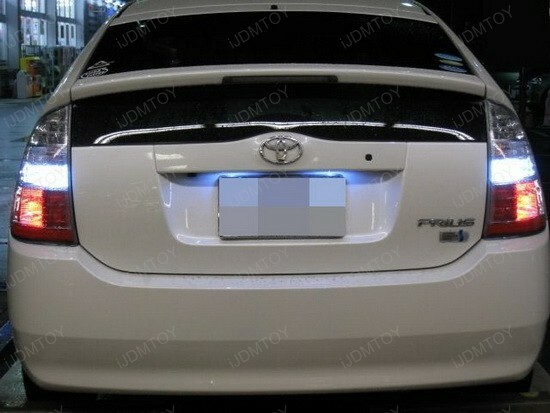 Beware of seeing that Prius backing up at night, because it shines so bright it can literally blind you for a second .. just joking, but these LED reverse lights are serious stuff. 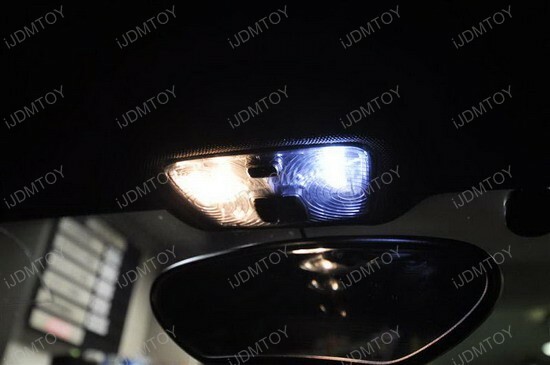 They offer much more visibility at night and make backing up safer. 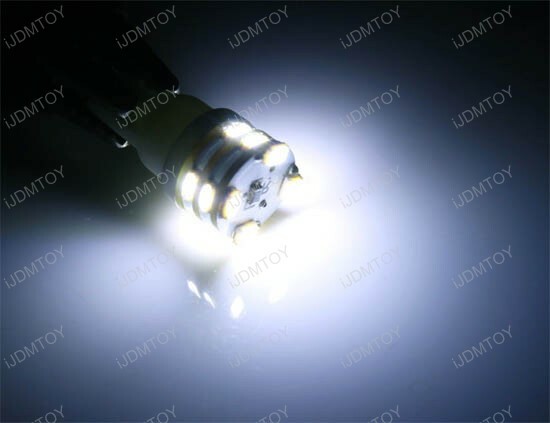 One of the main features of these Super Bright 40-SMD 7440 LED bulbs is the Transverse design, which makes it possible to have as many as 40 SMD LED chips on the bulb to provide you with 3 to 4 times more lighting output comparing with any other LED bulbs on the market. Installation is as simple as putting the biscuit in the basket – just plug and play! 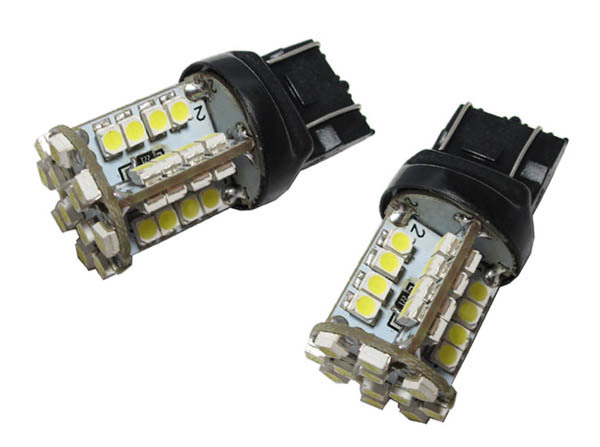 Perfect replacement is guaranteed, and if you use these LED bulbs for turn signal lights, you might need to add a pair load resistors to prevent hyper flashing or malfunction problem. 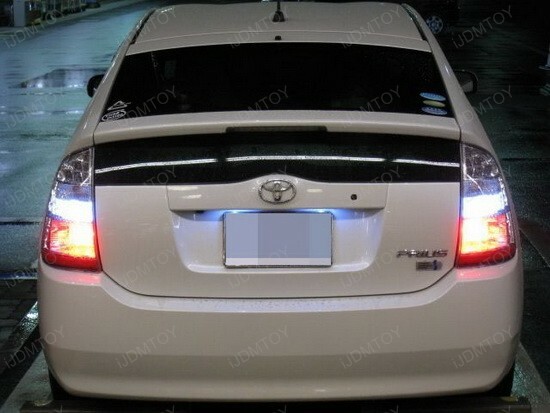 The "green" 2010 Toyota Prius definitely has it’s charm, but it looks a lot better with such simple mod as replacing the LED reverse lights. 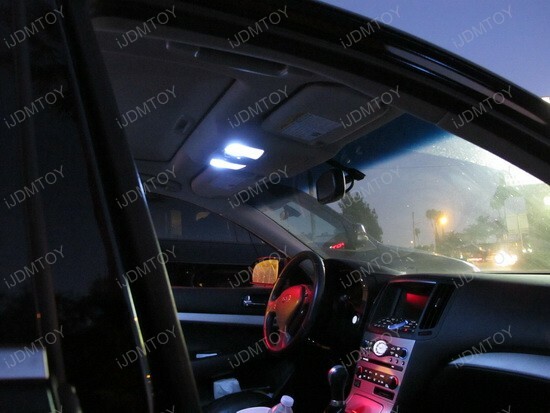 What’s more, every vehicle should use LED technology because it is more energy efficient and has longer lifetime than regular bulbs. 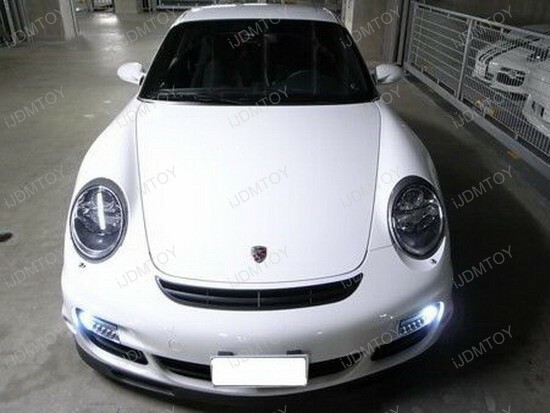 So, if you want to touch up you ride, iJDMTOY has everything you need. 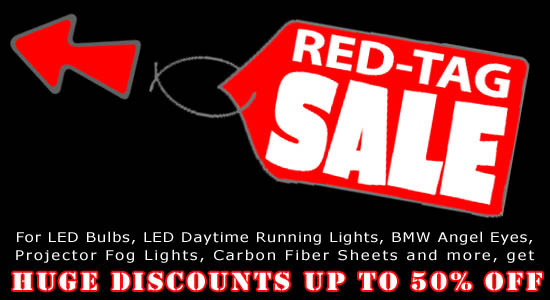 Red Tag Sale for New and existing iJDMTOY customers can save up to 50% OFF. Deal expires soon! Don’t miss it! 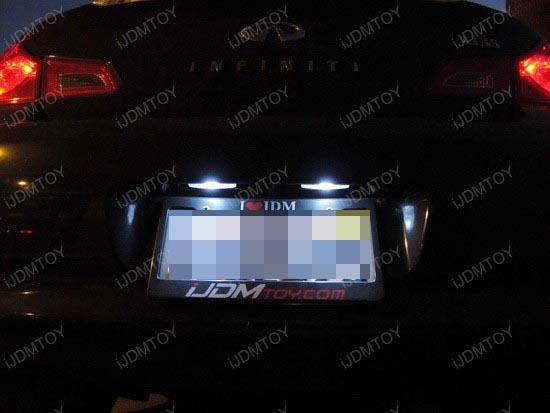 A customer of ours installed our new iJDMTOY 360 degree shine 12-SMD T10 LED bulbs for his 2008 Infiniti G35 for license plate lights and interior map/dome lights. 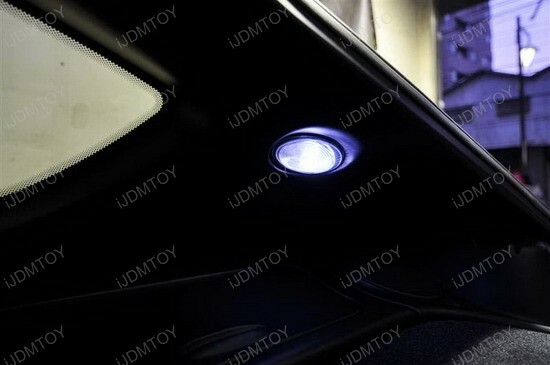 These HyperFlux T10 bulbs come with Cree Made Surface Mounting Tech (SMT) SMD LED chips. The total wattage of this LED bulb is about 2.5W. 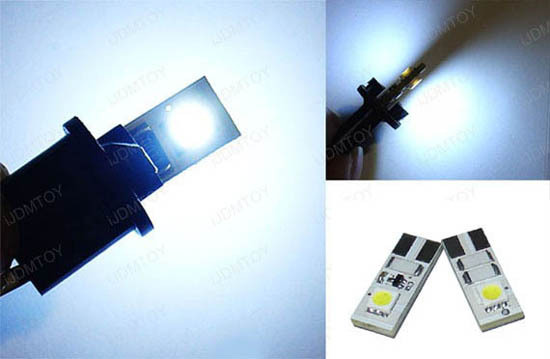 The 360 shine and smaller SMD chips do not produce as much direct heat, and still produce brighter and more colorful light than stock tungsten bulbs. Here are some pictures from this customer, you guys can take a look and hope you guys like this.